items in and out of cars and staying on the go. • Fold down handle for easy storage. • Enameled finish with non-skid heavy vinyl deck surface. • Protective vinyl perimeter bumpers. 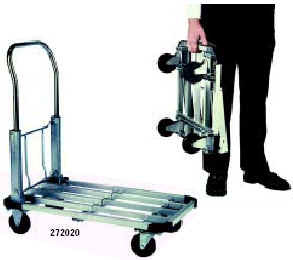 • Full size platform truck that folds to briefcase size. • Strong, lightweight interlocking aluminum frame. • Easy rolling 4" dia. 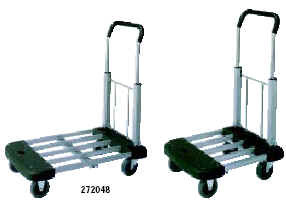 rubber casters (2 swivel, 2 rigid). • Protective vinyl corner bumpers. 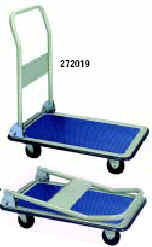 • Expandable platform 16" x 20" to 16" x 28". • Push button, quick activating conversion. 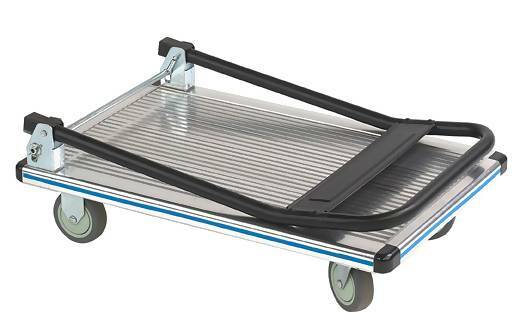 • Anti-impact, nonskid polypropylene and aluminum deck. 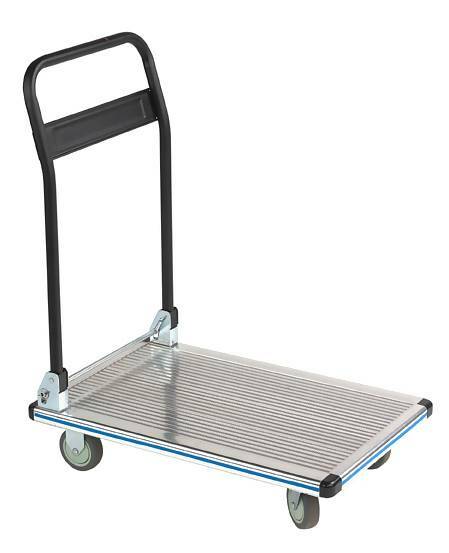 • Non-marking 4" mold-on rubber wheels. • Sponge rubber coated handle.